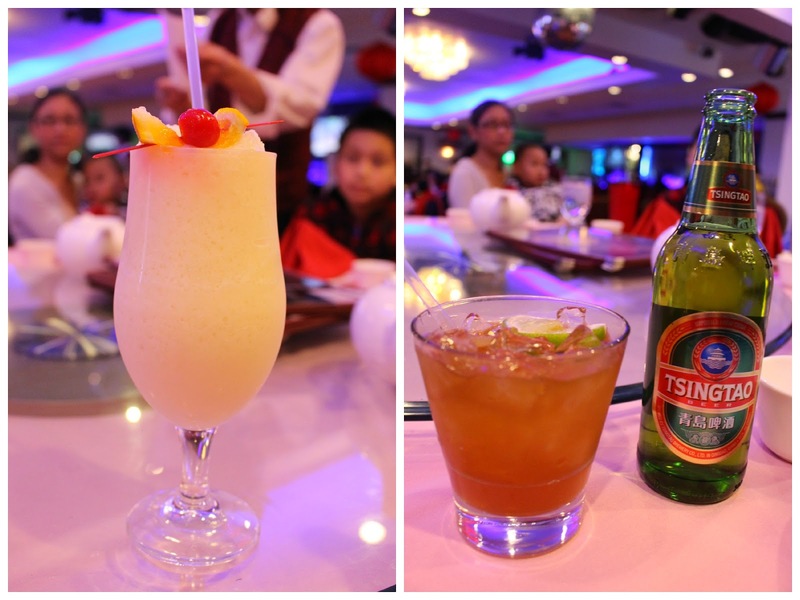 Every time the Mo and I go out to eat a "Chinatown" style Chinese restaurant, we always want to order everything. Then, we start to miss our friends. How convenient? When it's only the Mo and I, we usually stick with 2-3 dishes and still make out with leftovers. When there's a large party, we all select a couple of dishes and and enjoy heavenly bites of each entree ...family-style. That's my favorite style of eating. I haven't seen my friends for quite some time so we got a group of 10 adults (and some little ones) to China Star on Middlesex street. We typically go here for DIM SUM but dined in for dinner a couple of times. One of those times, it was with our friend Greg and we ordered mostly "Chinese-American" food, so that didn't count. Dinner started off with a round of drinks, a mai tai for myself and virgin frozen Pina Colodas for the expecting. The drink prices here are pretty reasonable, less than $7.00 for a Mai Tai and $ 6.00 for a Dewars on the rock. During some of the sport seasons, they have game specials with half off appetizers, which is pretty cool. The first course of our banquet meal started with Chinese Fish Maw Soup or "Swim Bladder/Gas Bladder" soup. The traditional soup was thick and gooey, just like Chinatown. There are different variations of the soup that includes other seafood or other types of meats. The delicacy is usually served at special group gatherings and its ingredients are said to promote great health and prosperity. 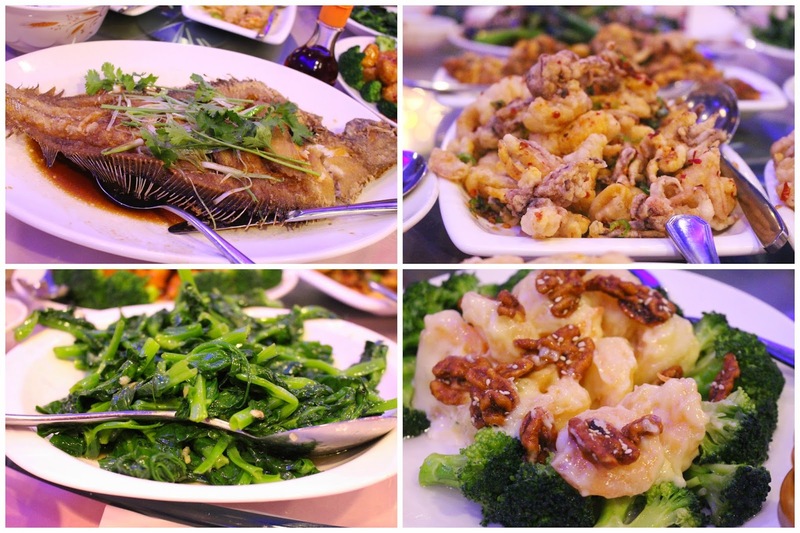 Another symbolic Chinese staple is fish. It is believed to bring prosperity. You probably won't catch any of my white friends sitting at a table with a whole fish on the menu. "It's staring at me!" they would say. I know, because I once ordered a whole Hainese chicken with the head and feet still on it and they still talk about it. One of our friends was in the mood for tofu so we got a spicy tofu and pork dish. Tofu is Chinese staple food in soup or stir fry. No meal is complete without a noodle dish. We got a pan fried crispy noodle topped with beef and Chinese broccoli. It was delicious! Typically, we do not order "Americanized" Chinese food but Thai and BG raved about their General Gau chicken stating it is the "Best General Gau Chicken!". We got an order and it was really good. 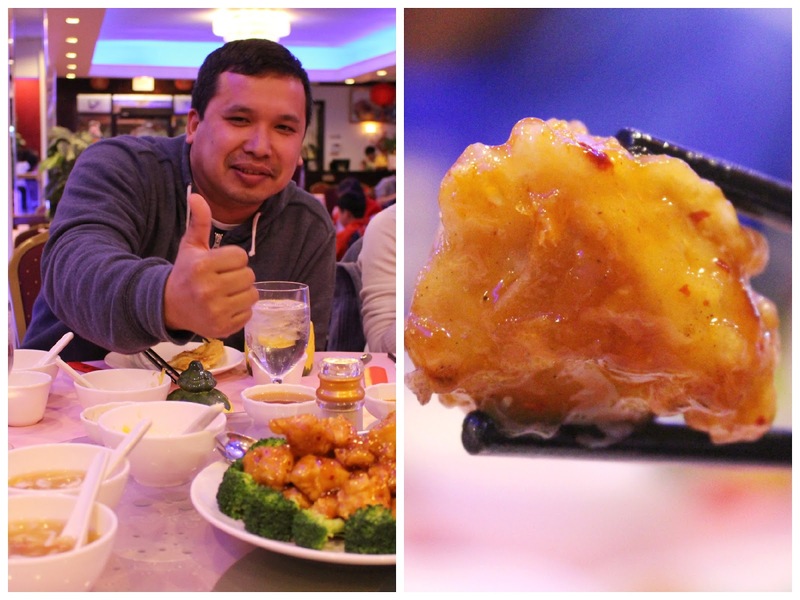 Unlike most fast food Chinese places, the dish had generous chunks of chicken with a flavorful sauce. It wasn't just fried batter pieces. (like at the mall) It wasn't too sweet or greasy either. "Mayo shrimp" or "Walnut shrimp" is a hit or miss. Some people love it and some people hate it. I happen to love the deep fried, mayo-smothered, calorie-laden dish. I think the dish alone exceeds my "Myfitnesspal" goal. With a meal like this, who's keeping track anyway? One of the kid's had his heart set on garhow, shrimp dumplings but since it wasn't during Dim Sum hours, the server suggested fried tofu shrimp roll. We ordered a round of Remy 1738 at dinner. Yup, we're Asian! The servers brought out orange and jello to surprise the birthday boy. I'm not really sure what the exact dollar amount is, but in most Chinatown restaurants, dessert is complimentary after a large meal or party. It's usually a warm tapioca or mung bean dessert. Time for 2 more rounds of Remy 1738 to celebrate the birthday boy! Great Dinner with Great Company!